When Jesus’ followers saw what was going to happen, they said, “Lord, should we strike with our swords?” And one of them struck the servant of the high priest, cutting off his right ear. But Jesus answered, “No more of this!” And he touched the man’s ear and healed him. I myself will tend my sheep and have them lie down, declares the Sovereign Lord. I will search for the lost and bring back the strays. I will bind up the injured and strengthen the weak, but the sleek and the strong I will destroy. I will shepherd the flock with justice. Thanks, Kathi. Great message and a great pic. Reading God’s Word always brings such incredible peace and assurance, doesn’t it? Yes, the peace Jesus gives, man cannot understand. We have big mouths, don’t we (well, speaking for myself), but how easily and with very little persuasion don’t we deny Christ, sometimes just to be in with the crowd, with the overrated hipsters of the day? And yet, He has gone to prepare for us, for those who belong to Him, a mansion and a place to feast with Him forever! Check out the coolest drummer in the history of drummers (blush); and who said we women can’t blow them harmonicas? Interesting line from the song: “I’m going to tell God how you treat me one of these days…” Thanks, again SSB, for what you represent and do. I bet there’s a lot of talking going on as we speak. 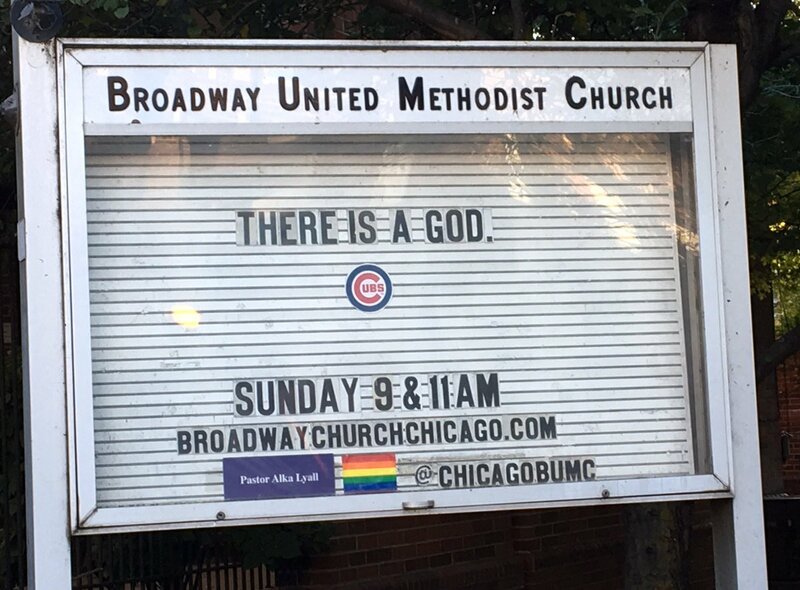 For anyone who believes that God cares about who wins the World Series, pray for the Cubs! Last night’s game was brutal. It’s not over yet, though! Maybe God does care who wins!